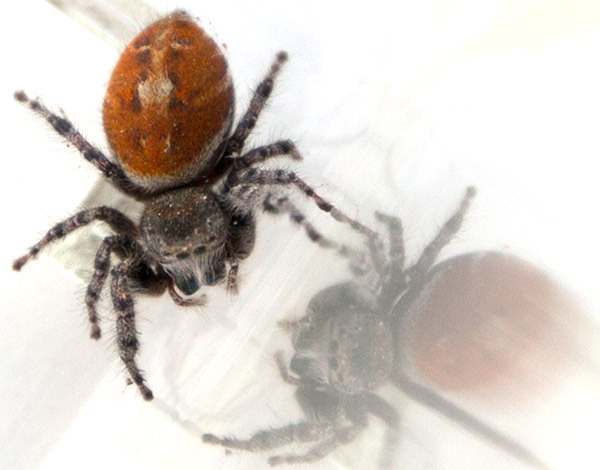 I thought that you would like to know that the spider depicted within these images is not an orb weaver, but rather a type of red-backed jumping spider. 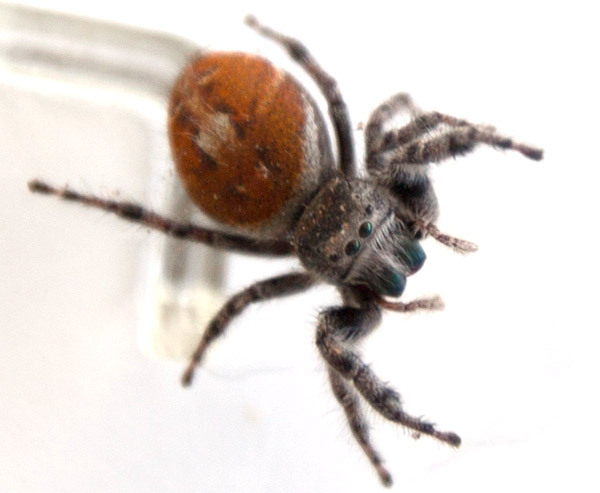 Jumping spiders are a wandering spider species that do not make webs to entrap their prey but instead use speed and agility to capture their victims. 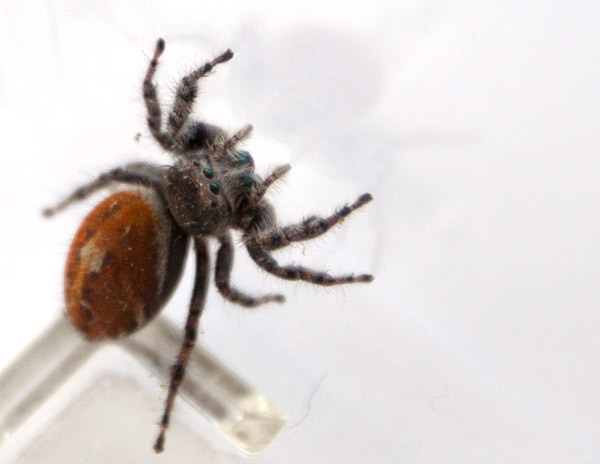 Just like the orb weavers, the jumping spiders are harmless to humans. 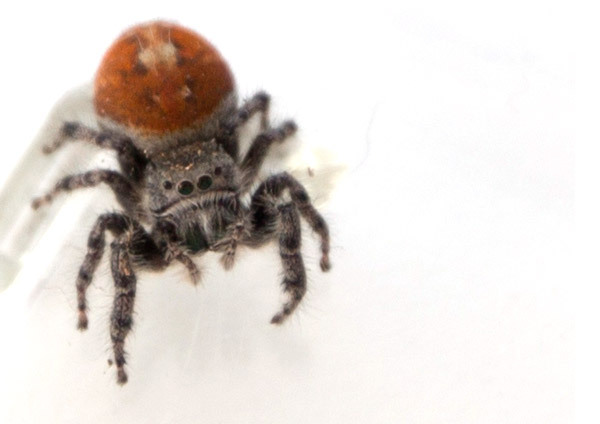 Jumping spiders tend to be very curious and can exhibit surprising signs of intelligence. 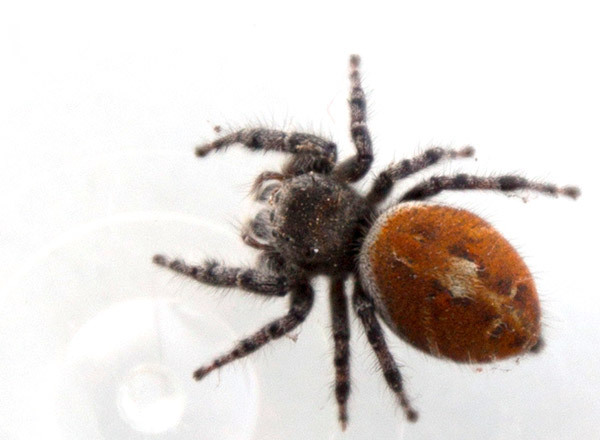 That’s a jumping spider, family Salticidae, not an orb-weaver. 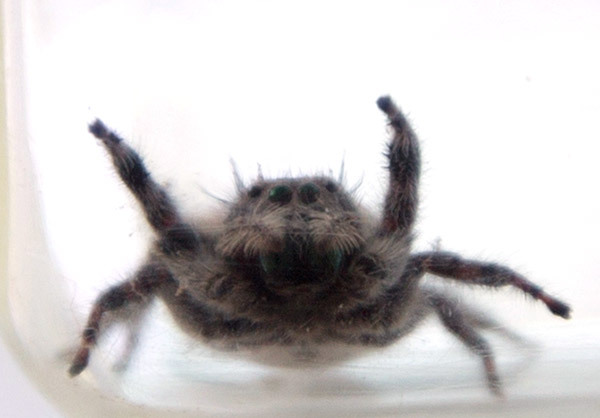 They are the cutest spider. It’s the eyes. 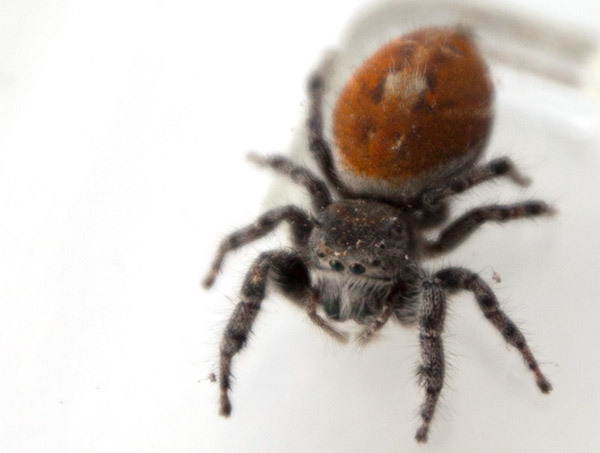 Not an orb weaver, but an adult jumping spider. 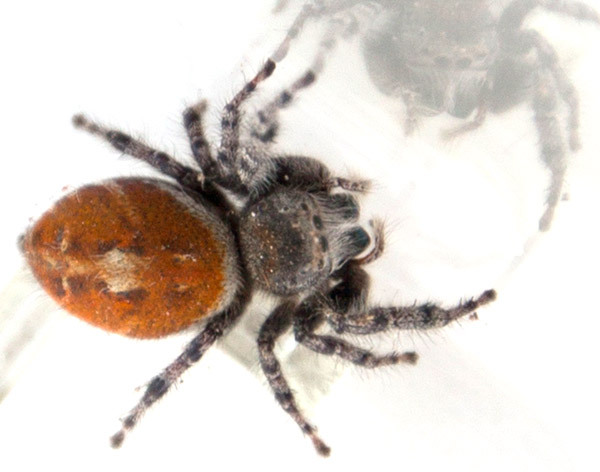 Phidippus clarus, I think. What an adorable face! 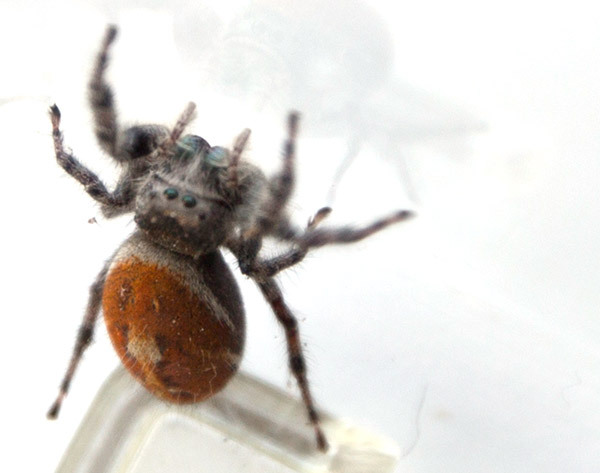 She is clearly looking at you with a few of her eight eyes.